AiryURL.com > Articles by: TweakMarketing Inc.
All products by TweakMarketing Inc.
March 8, 2016 Internet, Software, Tools & UtilitiesTweakMarketing Inc.
E-mail plays a great role in today’s business, being an effective means of information exchange. Information received via e-mail is often used in other applications. To transfer information from e-mail messages to other applications, one has to parse and process it first. Manual processing of messages requires much time and effort, and errors are very probable. Advanced Email Parser makes messages processing more effective, as it enables you to parse data, process and transfer it to other applications automatically. 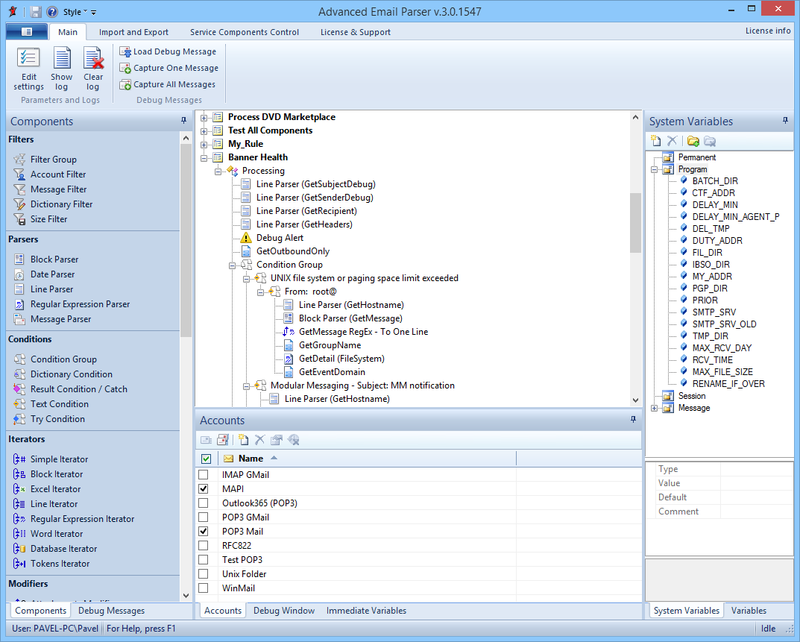 User-friendly interface, sharp logic based on our wide experience of work with the email, use of Microsoft technologies and integration with most popular applications make Advanced Email Parser a unique solution for business process automation. OS supported: Windows Vista/7/8, Windows Server 2008/2012. December 14, 2014 Internet, Software, Tools & UtilitiesTweakMarketing Inc.
OS supported: Windows VISTA/XP/2000 Workstation Edition. OS supported: Windows 2000/2003/2007, Server Edition. December 14, 2014 Email, Internet, SoftwareTweakMarketing Inc. 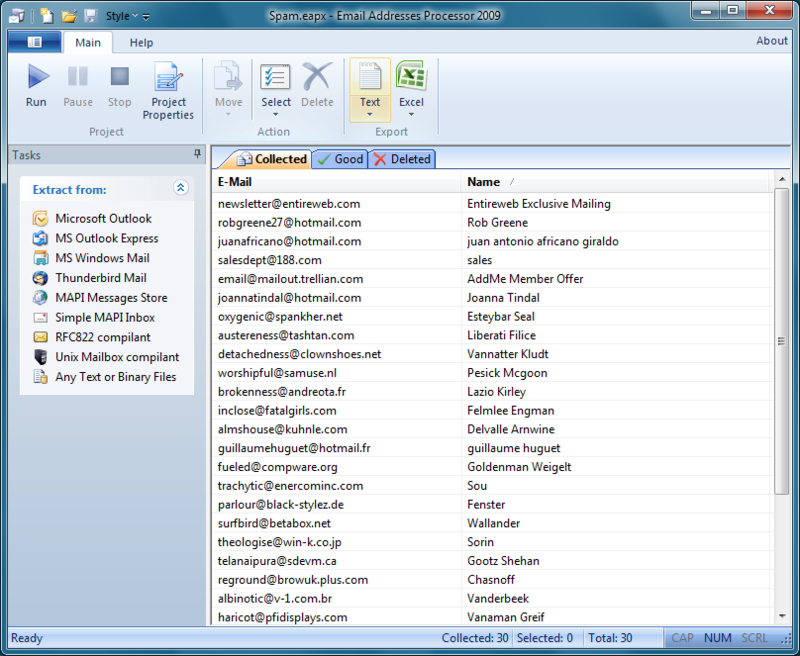 This program intended for extracting owner’s names and e-mail addresses from the local email clients databases (Microsoft Windows Mail (Windows Vista), Microsoft Outlook, Microsoft Exchange (via MAPI), Mozilla Thunderbird, The Bat!, etc.) and store it to file or MS Excel document. EAP is very effective and convenient decision for e-commerce companies. This program will help you to make and correct the lists of your clients on basis of your correspondence data. 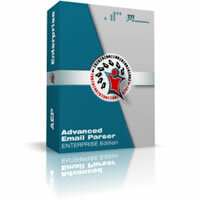 EAP is a universal tool which allows to process the files in various formats and mailboxes of the majority of mailers, including the “Outlook Express”, “MS Outlook”, “Windows Mail”, “Thunderbird”, “The Bat!”, “Qualcomm Eudora”, etc. Attachments Processor 2009 is a software product designed to extract attachments from mail client message databases and to make an archive of the files extracted. ATP is a very convenient and efficient solution for companies that receive messages with orders, forms, or updates sent as attachments. You can use ATP to create archive of attachments received with messages from certain individual and corporate clients, messages with specified subject or, received within certain time interval. ATP is an universal tool able of processing great variety of file formats and mailboxes of most mail clients, including Microsoft Windows Mail (Windows Vista), Microsoft Exchange (via MAPI), Microsoft Outlook, Microsoft Outlook Express 5, Mozilla Thunderbird, The Bat!, etc. ATP provides for flexible selection of messages which attachments are to be extracted from. This is ensured by use of a set of conditions for data contained in the fields of messages being processed. Conditions may contain regular expressions. ATP is efficient and reliable. With ATP you can considerably reduce time spent on processing of mail bases compared to manual or semi-automatic processing, and absolutely exclude errors. ATP saves the information about attachments parsed into its own project, which makes further work with the files easier and faster. You can do all operations with attachment list using ATP capabilities, e.g. you can open attachments, delete them using mask, view attachment description. ATP has a friendly graphic interface. Context help system and screen tips will help you to find answers to any questions you might have during operation.